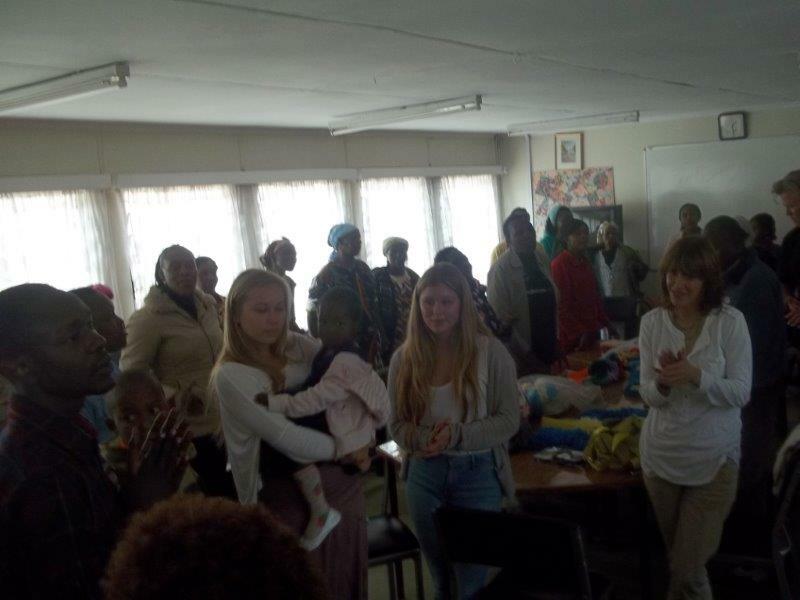 Twice every year, Twakutukuza (Twa) Trust, together with various partners, Friends of Twa, past and current Twa Choir Members, visit the cancer support group at the Nairobi Hospice. The main aim of the support group is to encourage each member despite whatever stage of treatment they are at (whether as a cancer patient, victor or care giver). The group has thirty to thirty five members who attend the sessions every Thursday. 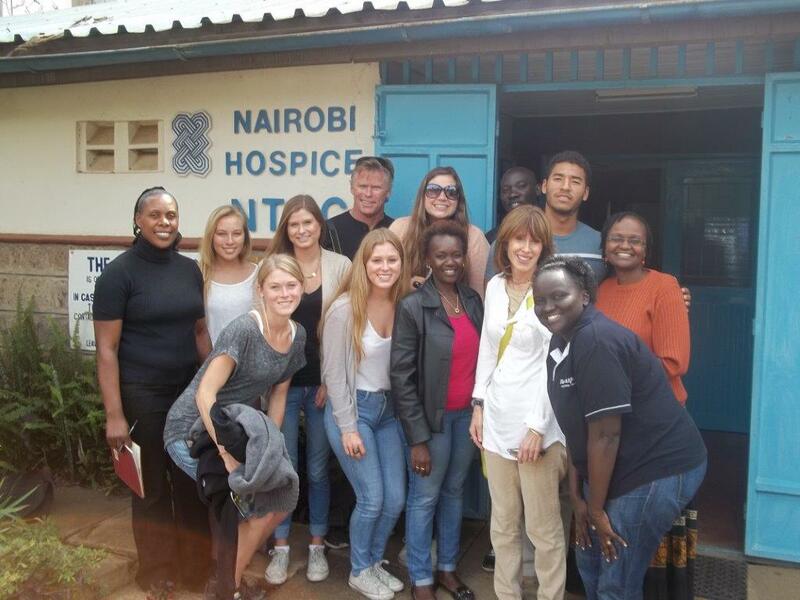 This year we had the privilege of visiting the support group on Thursday 15, August 2013 and were welcomed warmly by Lynette Kitui – Social worker at the hospice and the Hospice CEO. We had a time of song and devotion with the members. Another visiter to this centre on this particular day, was Mishka Cira who had come to train them on various forms of hand massage to alleviate pain. The hospice support group is one of those that Twa raises funds for. The monies raised go towards essential household shopping for the members. Other donations include clothes, breast prosthesis, bras, shoes etc. From the funds raised, we managed to purchase for each member a packet of all purpose floor, another of porridge flour, cooking fat, green grams/beans, rice, sugar, tealeaves, salt, a bar of soap, vaselin, a scouring pad and box of matches. One Twa choir member donated bales of maize flour out of which each member received a packet. The balance will be used to prepare lunch at future meetings. It was a day well spent and as Twa, we would like to give special thanks to the following people: The Reids from Mariners Church who took time off their busy schedule to be with us. Scott Reid, an Elder at Mariners church, individually prayed over and anointed any person that requested it. This went a long way in comforting the members. Thank you to Pastor Nyambura and Pastor Jack, both of Mavuno Church, for accompanying the team from Mariners and lending capacity at the event; Naivas Supermarket – Greenhouse took time to pack our shopping into individual goodie bags for each patient – This kind gesture saved us time and manpower on our end; Caroline Kithinji (previous Twa choir member) and her daughter who attended the event – We are also grateful for the bales of unga that they brought; Twa members and Friends of Twa who happily came to help out and sing, and also to those who weren’t able to join us but generously donated toward the goodie bags. 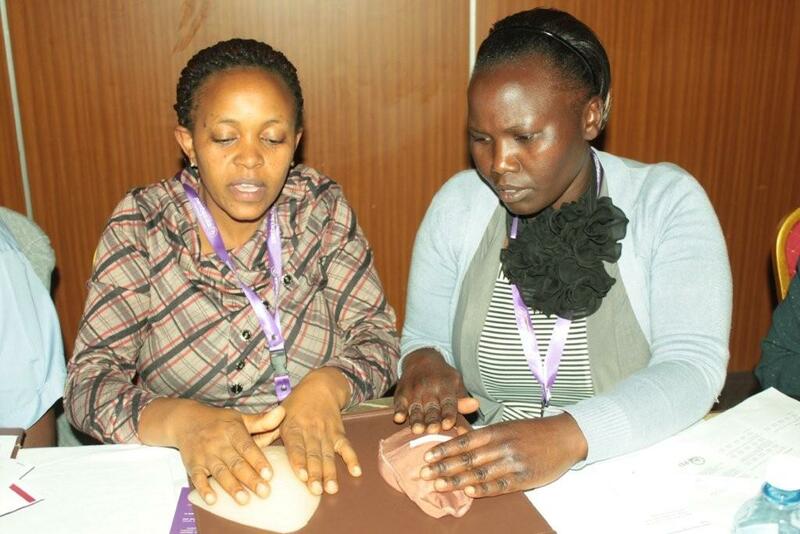 Thirty healthcare professionals from around Nairobi gathered last Friday at the Sarova Panafric Hotel for a day-long training on breast cancer, led by Prof Othieno Abhinya, and sponsored by AstraZeneca. The workshop is part of series of workshops in various regions in Kenya, to educate healthcare professionals in epidemiology, diagnosis and management, diet and lifestyle and emotional support. There is also a series of trainings for caregivers and volunteers, to help the community better support breast cancer patients. For more information, contact Miriam Ndambuki at Miriam.Ndambuki@astrazeneca.com. Hope Beyond Cancer Trust and Childhood Cancer Initiative have been on the road recently. 4th KENCO Meeting a big success! Twenty-three cancer advocates from twenty organizations attended today’s largest ever KENCO network meeting. Representatives from community-based organizations, Ministry of Public Health and Sanitation, AstraZeneca, and Nairobi Women’s Hospital shared information about various initiatives, voiced concerns about national policy on cancer, and formed instant partnerships to move individual group work forward on a larger, more profound scale. Several upcoming cancer events were announced, and can be viewed in the Events Calendar. 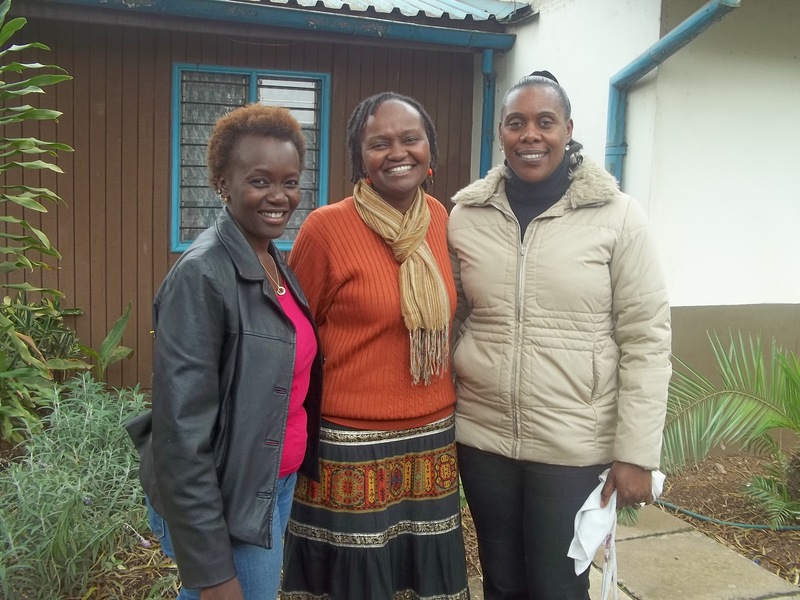 – The East Africa Public Health Laboratory Network is looking at incorporating cancer diagnostics into the communicable disease diagnostic training at five hospitals throughout Kenya. 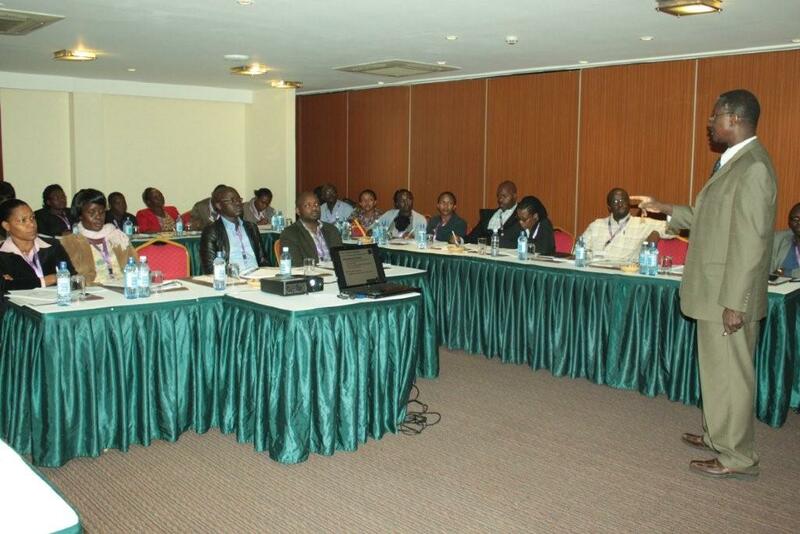 – August 20th will be the launch of the newly formed Non-Communicable Disease Knowledge Sharing Network in Kenya. The next KENCO meeting will take place in November 2013, and is open to KENCO members and invited guests. For more information about KENCO, see About the Network. 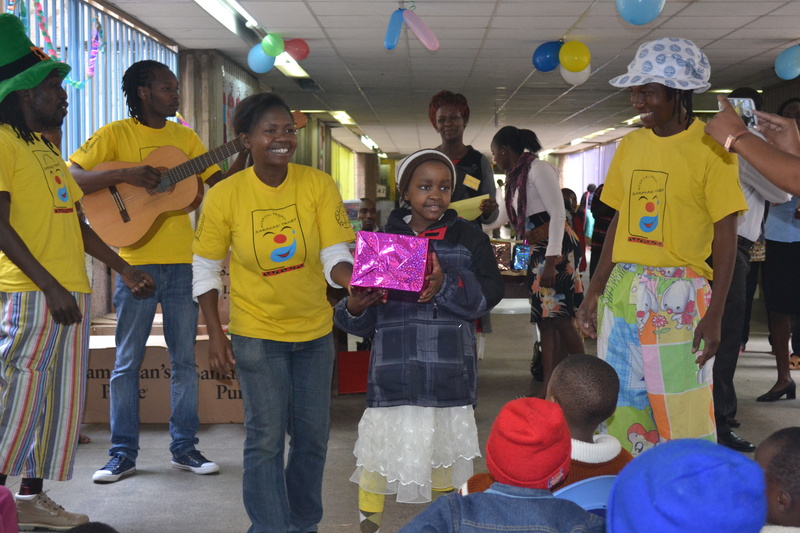 Childhood Cancer Initiative (CCI) held a ‘children happy moment’ event on 2nd August 2013 as part of its psycho-social support program for childhood cancer patients at Kenyatta National Hospital. Children in wards 3 A B C D were treated to a fun-filled morning session of entertainment including puppet shows, comedy by clowns as well as singing and dancing jigs among other activities. 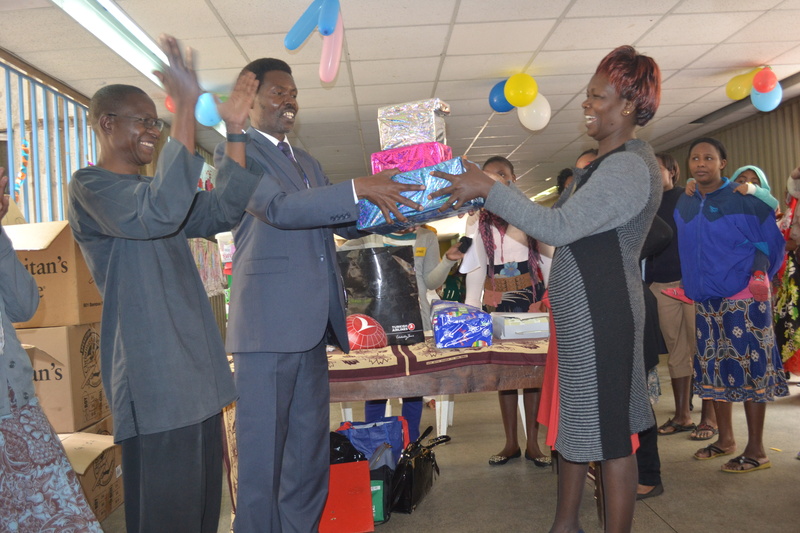 A drawing and coloring competition saw four (4) winners get exciting prizes before Mr. Joseph Omach of CCI handed over a donation of learning materials to KNH Children’s Learning Centre founder Dr. Carolyne Oyugi. The donation was in response to the Centre’s appeal for learning materials for children at the hospital. 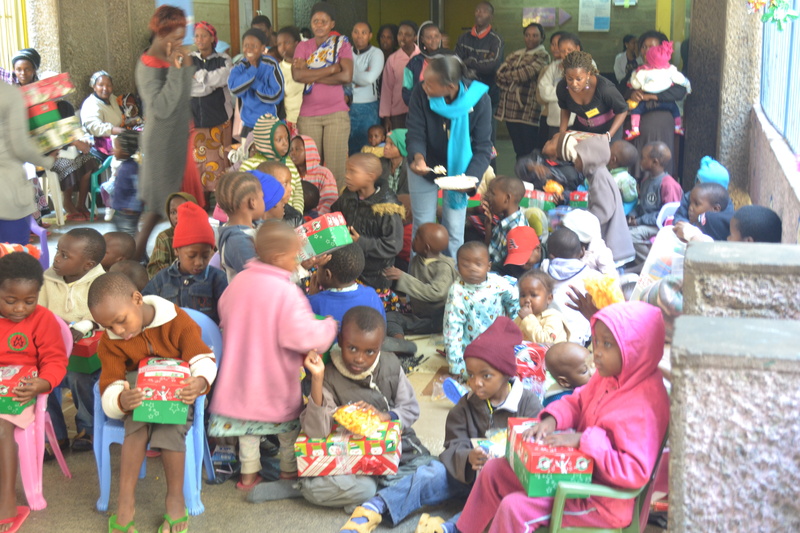 The highlight of the event was distribution of children gift-boxes to all children and which was made possible by Samaritan Purse Kenya. After wrapping up the event that took place on 3rd floor of the hospital tower, the CCI team visited children in Ward 1 E who were also presented with gift-boxes. The great happiness that was witnessed among children during the occasion was evident of the need for strengthening psycho-social support for children undergoing treatment in hospital. Childhood Cancer Initiative appreciates the remarkable support it has received from KNH Administration in organizing for these events over the years .